In 2009, we had our first brand ACC&URA for electronic scale, which includes pocket scale, baggage scale, jewelry scale and kitchen scale. We are dedicated to providing our customers with excellent service and product quality. We keep exploring new markets and sell our certificated products worldwide. From the year of 2010, as the business of electronic scale grew, our factory scaled up in size and added two more production lines to boost output. We keep up with the trends and has kept rolling out new innovative products. As always, we consistently offer products of prime quality and professional services. In 2011, the market for electronic scale has been fully opened and mature. 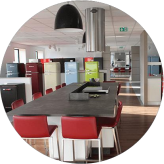 We has built close cooperation with many electronic scale brands in Europe and America like TISSOT, CITI BANK, BOOKING, AIR FRANCE, CARLSBERG, etc. In 2012, the concept of healthy lifestyle gained popularity across the globe. Accordingly, we established another new brand associated with health and sports called ZENCRO. 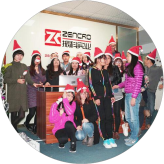 ZENCRO is committed to the research, development and production of smart wrist band, heart rate chest belts, heart rate sensors, smart cordless jump rope and other sports & health products. 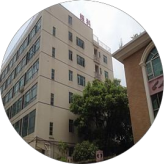 In 2013, thanks to the continuous growth and efforts of the R&D team and the advancement of production equipment, we have obtained three design patents and utility patents. A Bluetooth heart rate belt was shortlisted for the MEI Awards hosted by Made in China. That product was well-received by customers globally for its unique and intelligent design. We has established a deep and long-term partnership with major European and American brands, such as GNC, Everlast, Kurt, etc. We firmly believe that your success is our success. In 2014, with the continuous increase of ACC&URA and ZENCRO products, we seized the opportunity to create the new brand SOUNON. SOUNON's new mission is to launch new products known as food vacuum sealers, alongside with production of existing products. Food vacuum sealers bring new concept to healthy lifestyle. This year we launched the pilot production of vacuum food sealers and conducted market research overseas. 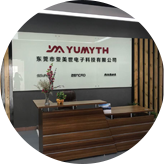 One more factory is built.The new 6500㎡ Yumyth factory specializes in developing and produce innovative kitchen appliances. 2015 was a fruitful year. We launched a series of brand-new patented food vacuum sealers, VS6600, which features a combination of electronic scale and vacuum sealer which greatly facilitates people's lives. Vacuum sealer 6600 series were well-received at the CES and IFA exhibition in the US, followed by an exclusive sales agreement with five European countries. In terms of factory expansion, we have built a new and large factory with an area of 6500㎡. Afterwards, the new brand Yumyth was born and has become the leading brand of the company's future growth. Now, it focuses on small kitchen appliances. In 2016, VS6600 series obtained China's appearance and structural design patents, and got a series of certifications including CE, ROHS, CB, GS, ETL, EMC, LFGB and more, which makes it possible to export to more countries and regions. 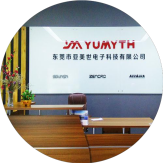 At the same time, Yumyth continues research and development of new products, improves production processes and tightens quality control. 2017 was a year of joy. Yumyth has passed ISO9001 and BSCI, a vital milestone for quality guarantee. A series of innovative breakthroughs have been achieved, with various models of vacuum sealers being launched, including ones with automatic open and close by touch. All of these products have been patented. From the test sample to the full production, everything went as anticipated. In this year, we participated in the Autumn Canton Fair and received lots of positive feedback from customers. In 2018, we participated in the IHA exhibition in the United States, the Turkish exhibition and the China Spring Canton Fair. The response was even more overwhelming and we open up more markets. Another 2 in 1 handheld smoke infuser with vacuum function has already appeared on the market. Yumyth has been following the core value of passion, innovation, integrity and positive energy. We look forward to your participation to create a wonderful future.